Living a Fit and Full Life: Clean Your Home Safely with JAWS® (Just Add Water System™) Eco-Friendly Home Cleaning Kit! Clean Your Home Safely with JAWS® (Just Add Water System™) Eco-Friendly Home Cleaning Kit! JAWS is an eco-friendly system of streak-free, non-toxic cleaning products that helps reduce plastic in landfills. JAWS Cleaners are the refillable, reusable, remarkable way to clean. Just fill our reusable spray bottle with water, pop in a super-concentrated cleaning pod and you’ve got eco-friendly cleaning power wherever you need it. It’s an innovative, easy-to-use, non-toxic and eco-friendly system that reduces plastic in landfills, conserves resources and saves you money. 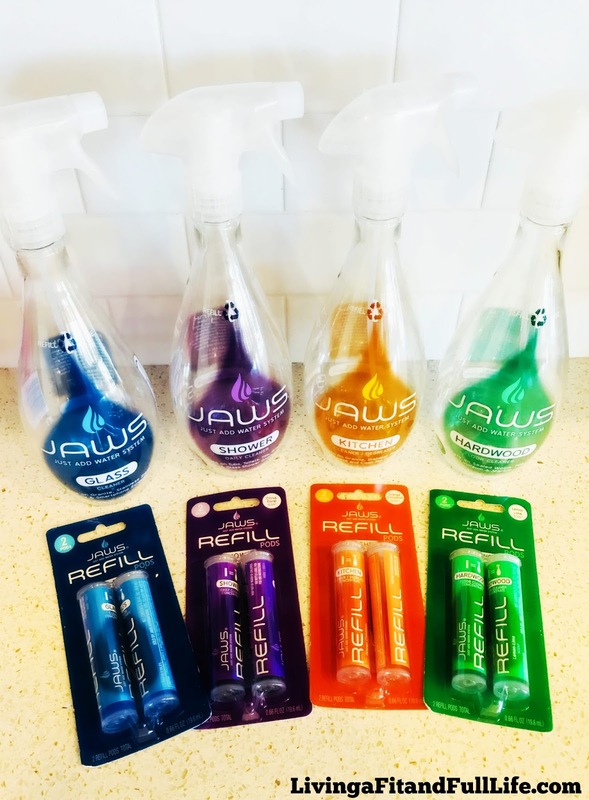 In fact, when you finish your Just Add Water™ starter kit and buy JAWS pod refills, you can make 2 full bottles of cleaner for much less than the purchase of new cleaners. This non-toxic bathroom cleaner also helps eliminate odors around toilets and floors – it’s perfect pairing with a disinfectant. And it has a light, pleasant citrus-floral scent. 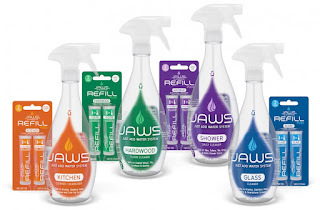 Clean your home safely with JAWS® (Just Add Water System™) eco-friendly home cleaning kit! JAWS® is my new favorite way to clean, and I have to say that absolutely love the name. I was recently introduced to these fabulous cleaners and I'm so happy to have discovered them! I had the pleasure of trying out JAWS® Home Cleaning Kit which comes with four empty reusable bottles, four trigger sprayers, two refill pods each of JAWS Glass Cleaner, Daily Shower Cleaner, Kitchen Cleaner/Degreaser, and Hardwood Floor Cleaner. This kit comes with everything you need to get your home sparkly clean and I love that it helps to keep plastic waste out of landfills and is non-toxic. Jaws Glass Cleaner is ammonia-free and does an incredible job to clean windows while leaving no streaks behind. It's so good even my kids can use it and the windows still look streak free! JAWS Kitchen Cleaner-Degreaser is my new favorite kitchen cleaner! I absolutely love how shiny and clean it gets all the surfaces in my kitchen. It also leaves behind a wonderful light orange-cinnamon scent. The JAWS® Daily Shower Cleaner is an incredible shower cleaner. It's a fast-acting, non-toxic bathroom cleaner that dissolves and emulsifies water spots, soap scum, and mineral deposits with ease. I found it to work extremely well and love that it leaves a pleasant citrus-floral scent behind. JAWS® Hardwood Floor Cleaner isn’t just for hardwood floors! It works great for most types of flooring and tile, sealed wood cabinets, tables, and shelving. It’s a high performance, yet non-toxic, floor cleaner that removes dirt and grime with ease. 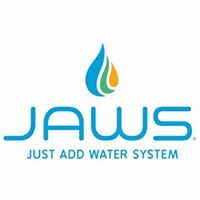 JAWS® (Just Add Water System™) is totally incredible and definitely worth trying! Click HERE to find a store near you that sells JAWS®! Click HERE to learn more about JAWS®! Follow JAWS® on social media!